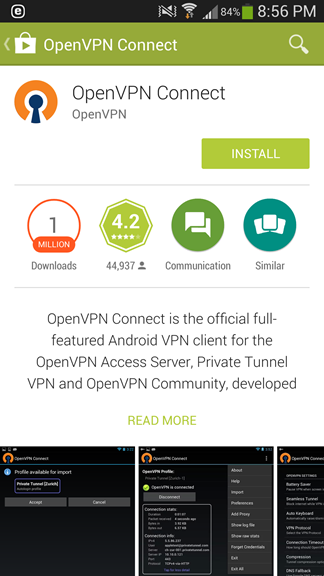 1) Download OpenVPN Connect from Google Play (search for 'openvpn' should turn it up). 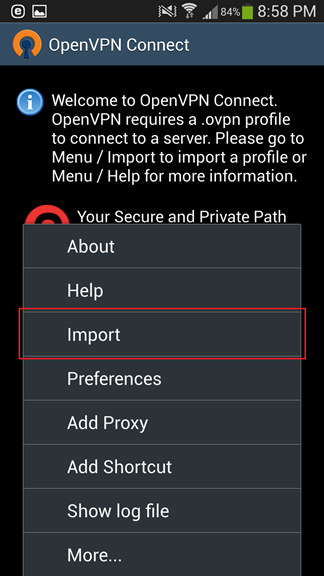 3) Bring up the options tab, and click on Import (to import the profile/configs). 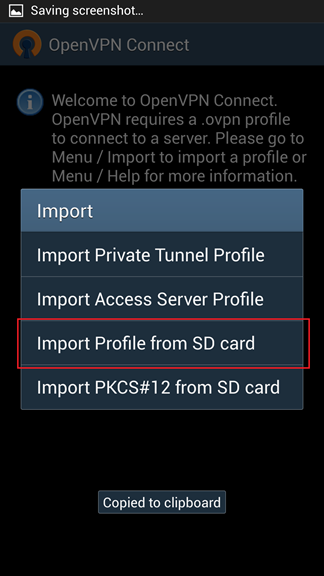 4) Select to import from SD card. 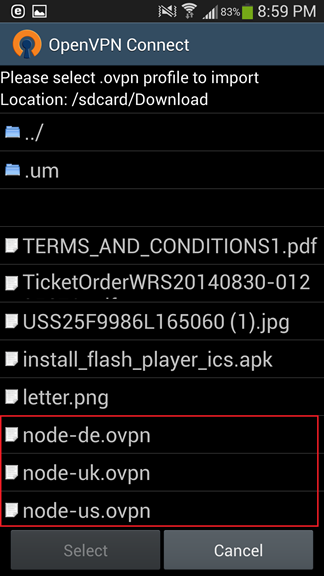 5) Locate the folder you downloaded the config files to. 6) Import them. If you want to import all 3, repeat the above steps thrice. 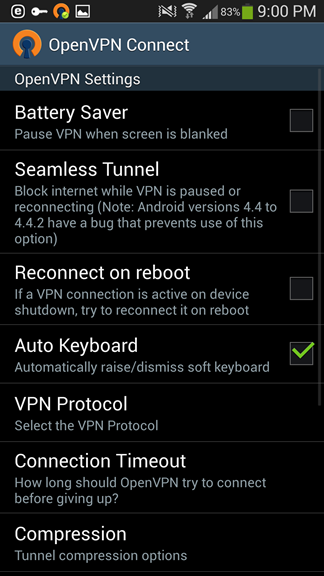 7) Once imported, select which one you want to connect to from the dropdown and enter your RPNet username and password. 8) Connection should take a few seconds. 9) Once connected, you'll see the status. You can see extended stats (data transferred, ip assigned, etc) if you prefer. 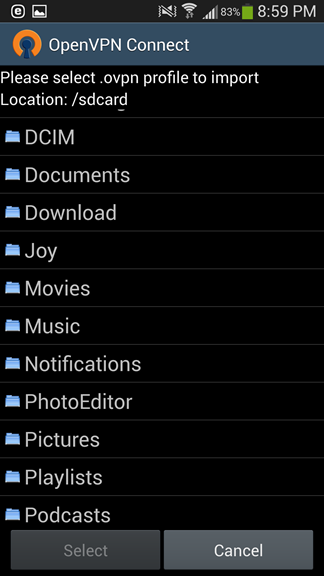 10) The app also has some extra preferences you can adjust to your liking as you see fit.